What contributes to ageing hands? Sun exposure plays a major role in the ageing of the hands. As you get older, age spots develop on your hands – which ironically have nothing to do with your age but more a pigmentation condition directly related to sun exposure. Ageing hands can often look dehydrated and lacking vitality. Giving them focused TLC will go a long way in restoring radiance and suppleness. Using a good quality hand cream with regular application is essential. Weekly exfoliation will rid the hands of dry skin buildup and allow for better results with your hand cream. Untidy nails age the look of your hands. Hands look much better with well cared for and groomed nails. How can you protect your hands from premature ageing? Take care to look after this area with focused care and attention, as you would your face and décolletage. Use a high SPF daily to protect against sun damage. 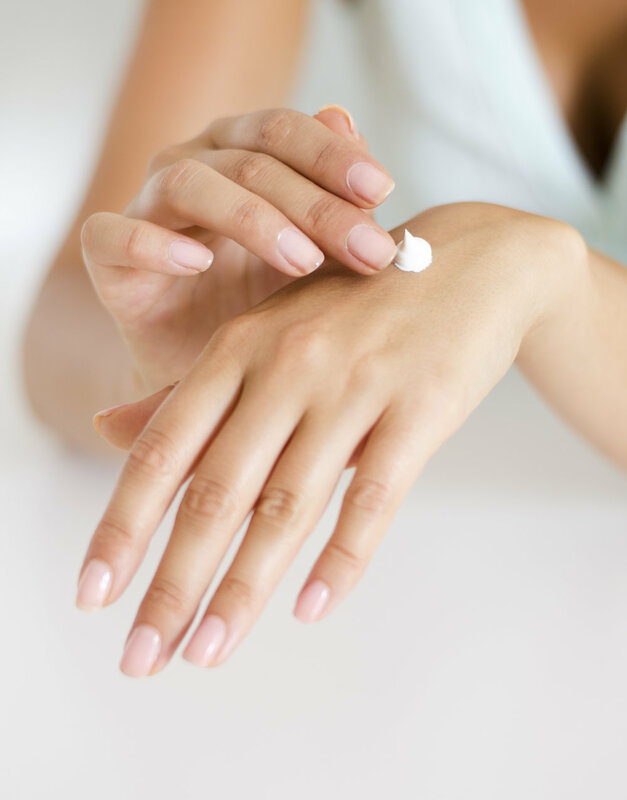 Frequent application of hand cream is essential for hydration and comfort. As an extra step, you could use a specialist treatment product for the hands like our Repairing Night Cream for Hands as a 30-day cure. It includes highly effective anti-ageing ingredients like hyaluronic acid that hydrates the skin overnight while the body rests, as well as stimulates cell renewal. Pigmentary blemishes represent one of the major natural phenomena of skin ageing. They are often caused by hormonal changes and too frequent exposure to the sun. There are plenty of options available for the treatment of age spots, from a topical cream right through to using laser. Our Anti-Spot hand cream tones down and prevents the appearance of pigmentary blemishes thanks to a complex of botanical extracts. Of course drinking lots of water and following a healthy diet impacts on the look of your hands too. Gloves are your hand’s best friend! They provide protection from the cold in winter, sun in summer and from daily/frequent contact with water and harsh soaps, detergents, heavy-duty cleaning products, and alcohol-based products. Having neglected nails and cuticles, or an outdated manicure can also make the hands look much older. Follow our step by step manicure for impeccable looking nails. Avoid blue-based nail colours, which can exacerbate the appearance of veins on the hands as you age. What makes a good hand cream? Unfortunately, not all hand creams are created equal. Look for high-performance ingredients that you would find in facial skincare products like hyaluronic acid, retinol, peptides and antioxidants. These active ingredients will offer your hands a more intensive treatment with visible results. Also look for hydrating, nourishing ingredients like shea butter, vitamin E and collagen. For more information on how to address your hand concerns, please consult Mavacademy for our hand beauty advice.